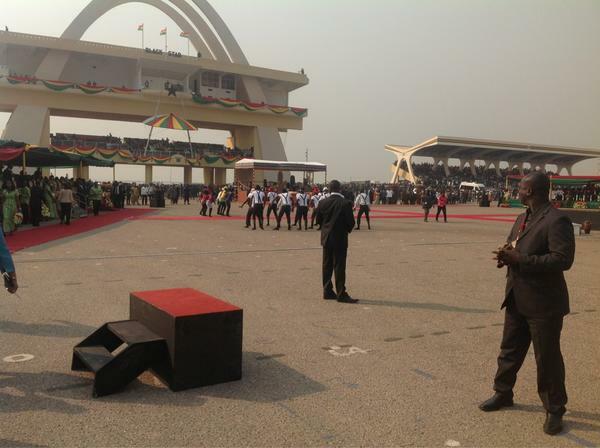 John Dramani Mahama was inaugurated as president of Ghana in a well attended ceremony at Black Star Square in Accra. Nana Kofi Acquah is a professional photographer who takes stunning photos. Visit his blog to see more, and to read more of his observations. 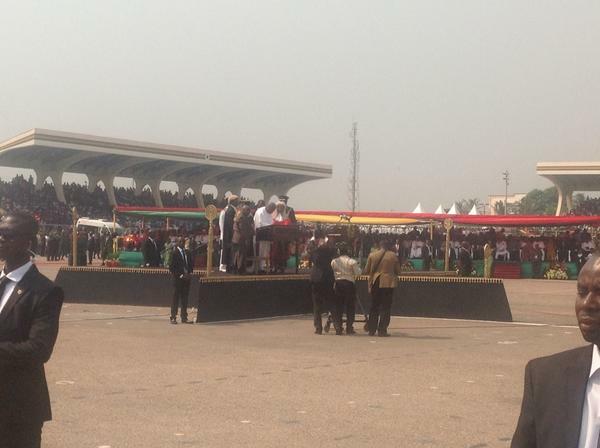 The photos below came from tweets on Twitter using the #GHInaug hashtag. 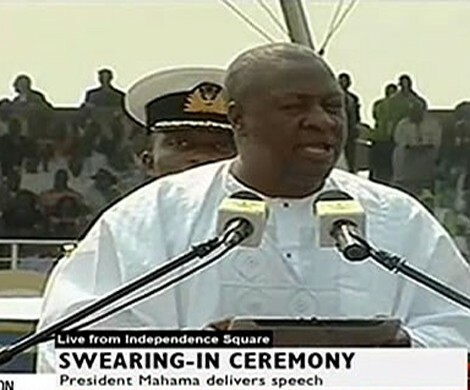 Read the full text of Mahama’s inaugural speech He is sometimes known as Johnny Digital Mahama. He has a degree in Communications and usually uses a tablet computer as text teleprompter for his speeches. At the inauguration he used a Galaxy Note 10.1, but most of the accounts call it an ipad. 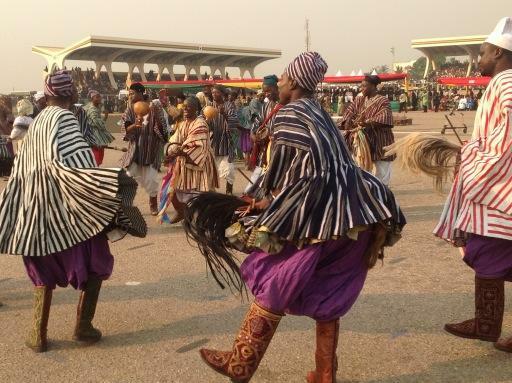 Ghana presidential inauguration 2013 Azonto dance troop. Azonto is a current wildly popular dance, search YouTube for videos and how to. 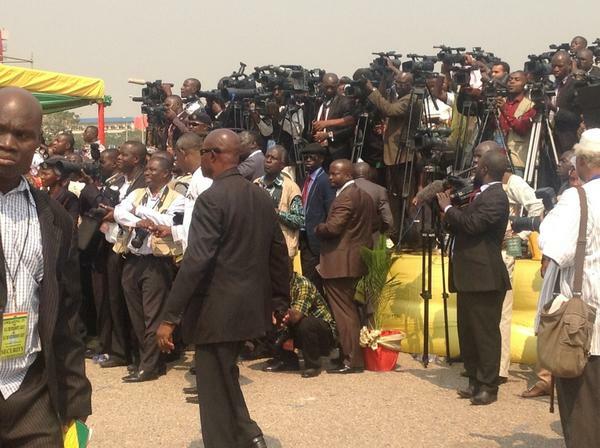 See more photos of the inauguration at GhanaWeb. It’s clear many people voted for John Mahama the person vrs Nana Akufo-Addo rather than the NDC versus the NPP. 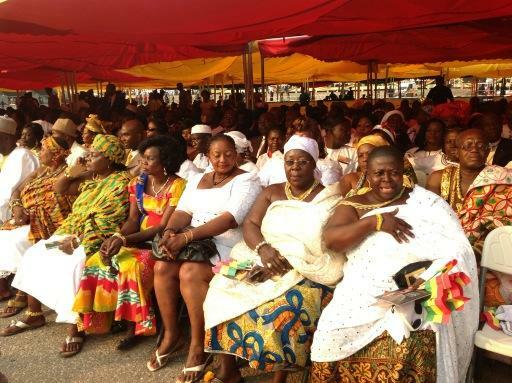 Nana Akufo Addo is not liked very much in Ghana for his “arrogance and elitism”. Ask around. … The NPP with its property-owning democracy and Republican-ish ness makes it appeal more to the rich and elitist folks in Ghana. The poorer folks, not so much? And we all know who makes the majority. The NDC focused on doing more around the country. If you don’t go around the country and sit in Accra or come to Ghana on holiday and sit around Accra, you wouldn’t know. Next time, travel around Ghana more. It’s quite clear that the NPP won in the urban areas. If you believe then they should be the true winner, . The real Ghana happens in the rural areas and those are the places that can really drive our economic development when they are up to speed with what we need to enjoy the Ghana we crave. I will suggest you pay more attention to these places if you care deeply about Ghana. We saw how Ghanaians lined up the night before to go and vote. We keep on celebrating our democracy. We see our democrazy selves demonstrate in the streets against politicians and policies. You know the demonstration of democrazy democracy I want to see? That we will hit the streets and demonstrate against indiscipline, corruption, bad mindset and the backward-thinking attitudes of Ghanaians. You know the beauty of this, you can actually make a difference here by influencing and impressing upon others. Let me give him a few pointers on being a great leader for Ghana and not just a president. John Mahama should get the average Ghanaian to do more for him or herself and the community. Encourage us to work harder. Encourage us to take time off to help a child (and adult) learn to read and count, educate on health and cleanliness, teach people to be more efficient with time and resource, etc. He should motivate us to work for Ghana. Institute a volunteer day (preferably the Founder’s Day). That’s what I want from my president. Oh yeah, and leave a legacy. Like solving our electricity problems, once and for all.